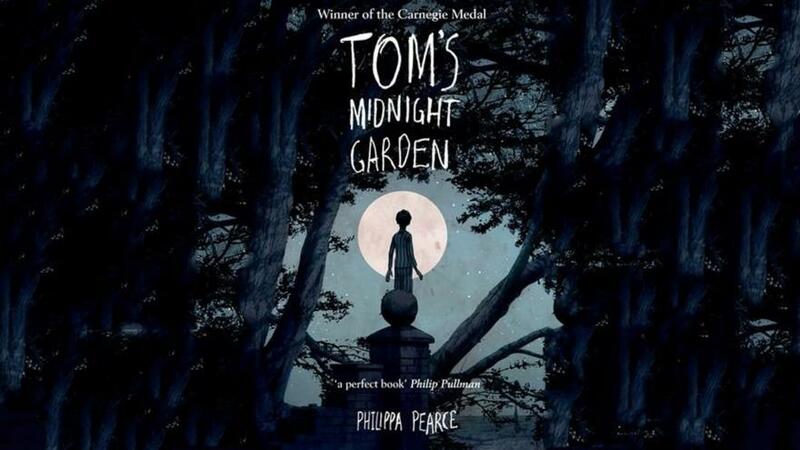 You will have noticed that I have called this my thoughts rather than a review or a comparison and that is because I want to talk about Tom’s Midnight Garden both the film and the book but I don’t want to compare them or review them in the traditional sense. Instead I wanted to share why both are important to me and why I love them equally. Well, I say equally, but the book just beats the film for me if I’m completely honest. Anyway, I’m going to begin by giving a little background on the film and the book and then I will get into what I think of them and why. I hope you enjoy reading! Synopsis: When Tom’s brother falls ill he is sent to stay with his aunt and uncle. Tom is terrified of the boredom that awaits him but little does he know that there is a magical clock at his new, temporary residence. This magical clock strikes a thirteenth hour, one where a magical garden exists that he can have endless fun exploring. However, with everybody around him adamant that the garden does not exist, Tom is left wondering what is real and whether the people he meets within the garden are alive or ghosts from a long forgotten past. The burning question is: why is it only Hattie that can see him when he enters the garden? Synopsis: The synopsis for the film is much the same as the book, therefore I won’t repeat myself by writing the same here, I know that would be pretty boring for you to have to read! So, as I said right at the start I love both the film and the book! I think the story is so magical and a perfect dose of escapism for children and adults alike! The synopsis may not sound the most exciting but the story is in fact totally absorbing and exciting and it’s full of mystery and action too! I remember the film fondly because when I saw it I was with my mum. I’m pretty sure we watched it in the cinema but I’m not certain. Either way, whenever I watch it again or think about it I think of my mum. As a result, it has become a little sentimental for me! It’s not just for this reason that I love the film however. 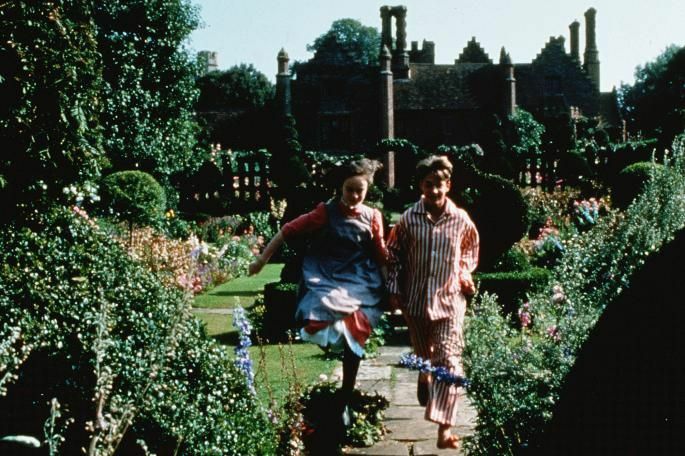 I love how it stays true to the book, how beautiful the garden is and how Tom and Hattie are two main characters that you can really get behind and root for. I enjoy everything about the film and I say enjoy in the present tense because when I watched it again recently at the grand old age of 28 I still enjoyed it as much as I did when I watched it for the first time as a child. The book has a different significance for me but a sentimental one nonetheless. In my final Uni module this was one of the books that I studied (and pulled an all-nighter writing an assignment for). When I received my reading list for that module and saw this title on there I had a mixed reaction. Part of me was really excited to learn more about it and really delve into all of it and part of me was really apprehensive. Why? Because what if learning about it academically took some of the shine off of it? I didn’t want anything to ruin the magic of the story for me! I needn’t have worried though. Studying Tom’s Midnight Garden only made me love it more! I actually read it again towards the end of last year (mainly because watching the film again made me want to pick up the book) and I didn’t even think of any of the technical lessons that Uni had taught me about it. Instead I read it exactly as I did before I learned about it, and that was in a way where I just enjoyed the story. It’s that simple for me. I just really enjoy the story and how Pearce tells it and it doesn’t matter how many times I read it, that doesn’t change. It’s just that now it reminds me of graduating Uni and I’m really proud of that! Do you have any books or films that are sentimental for you? 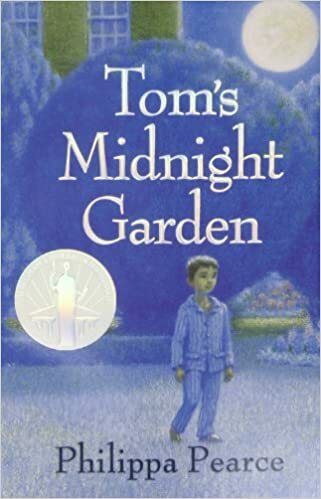 What are your thoughts on Tom’s Midnight Garden? This can be the film or the book or both! I hope you have enjoyed reading my thoughts on Tom’s Midnight Garden! It was really fun to share why both are significant for me personally. As expected I really want to read the book and watch the film again now. Another time wouldn’t hurt right?! If you did enjoy reading this then maybe you would like to check out some similar posts which you can find here in my Books category. You can read reviews, favourites and a book versus film series. Great post! I love Tom’s Midnight Garden too. I thought the film version was wonderful. Thanks! The film is great isn’t it! It really brings the garden to life.